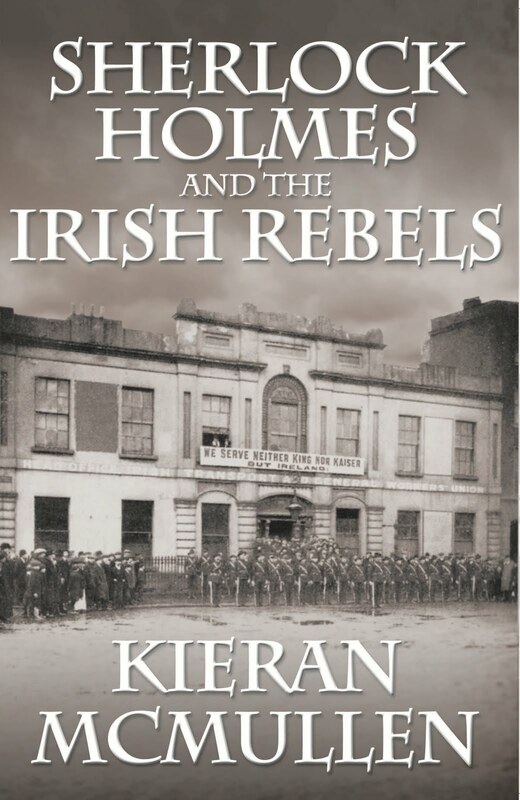 “Kieran McMullen has once more combined his expertise as a military historian and former soldier with his devotion to Sherlock Holmes, and he’s added a third element – his own heritage – in Sherlock Holmes and the Irish Rebels (MX Publishing; http://www.mxpublishing.co.uk; £10.99/ $18.99/ €12.99). Two years into the Great War, Dr Watson is called away from his post with the Royal Army Medical Corps and instructed to join Holmes in Dublin, where, under the alias of Liam Altamont, he has infiltrated the Irish Volunteers, who, believing that ‘England’s extremity is Ireland’s opportunity’, are a rebellion against British rule. This entry was posted in Doyle, Dublin 1916, Holmes, Ireland, Irish Rebels, Watson and tagged arthur conan doyle, Irish Rebels. Bookmark the permalink.